The much-awaited Mahindra MPV, which has been caught numerous times testing India, has now been officially named by Mahindra. The upcoming MPV will be known as ‘Marazzo’, keeping in line with Mahindra’s long-lived tradition of ending its car names with the letter ‘O’. It means ‘Shark’ in Spanish and also sports the deadly sea predator in the logo. Mahindra Marazzo will be launched in the Q2 of 2019 and Mahindra refrained from revealing the complete design of the vehicle. However, a few design elements were revealed by the brand. The Marazzo, which is internally codenamed as U321, gets premium features. It gets a new-age Mahindra grille, a boomerang-shaped tail lamp and elongated headlamps with LED eyebrows that act as DRLs. 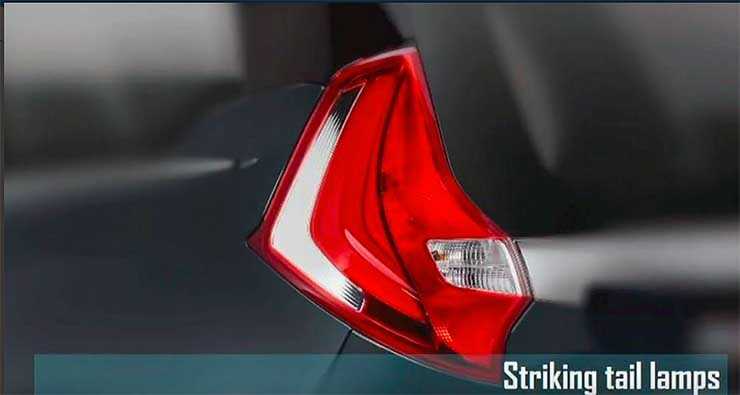 Mahindra has also added features like a shark fin antenna to give it a premium look. The Mahindra Marazzo will take on the Toyota Innova Crysta, however, it is expected to be priced much lower than that. The all-new car is the first passenger vehicle that has been designed at Mahindra’s North American Technical centre with inputs from Mahindra India and Pininfarina. Mahindra’s in-house design studio at Kandivali has also contributed to the overall design. The vehicle is inspired by the shark and the elements are designed in a way that they represent the predator. The upcoming Marazzo will be built at the Nasik facility in Maharashtra. It gets an all-new platform and gets the largest wheelbase X front track figure of any Mahindra vehicle. Mahindra has not revealed the dimensions but with the largest footprint, it is expected to get roomy interiors, something that Toyota Innova Crysta is popular for. Mahindra revealed that the Marazzo will get 7-seat and 8-seat configurations. Mahindra will also debut the all-new 1.5-litre diesel engine that is expected to produce around 121 Bhp and 300 Nm. It will get a six-speed transmission and there is a possibility of an automatic transmission too. However, Mahindra has not officially revealed any mechanical details of the car. On the inside, the Marazzo will get a roof-mounted AC vent, twin pod illuminated instrument cluster with an information screen in the middle. The pictures also reveal the leather seats of the upcoming car. It is expected to be priced around the Maruti Ertiga in the Indian market.